The latest smartphone announced by Sony Mobile, the Xperia M4 Aqua is expected to arrive on the market sometime in April. Until then though, the Japanese company might unveil another mid-range handset. 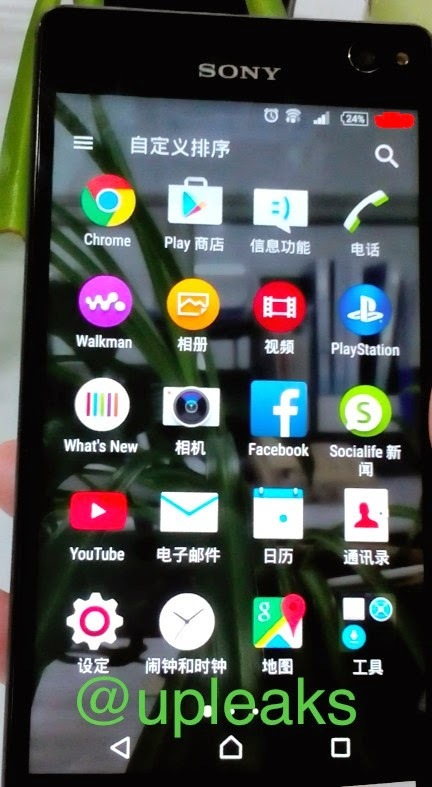 The unannounced smartphones leaked about a week ago and is condenamed Cosmos. The Xperia Cosmos is a mid-range smartphone that is supposed to come with a 5-megapixel front-facing camera and LED flash. We also know that Sony Xperia Cosmos might be equipped with an octa-core processor manufactured by MediaTek. We suspect that the mid-range handset will ship with Android 5.0 Lollipop operating system out of the box, just like the Xperia M4 Aqua. Apart from that, there aren't many details on Xperia Cosmos' specs, so we can only wait until more info emerges online or Sony makes the smartphone official. The latest picture provided by @upleaks shows the phone's front camera more clearly now, as well as the LED flash to its right. Since the flow of news about the Xperia Cosmos has become thicker now, we expect Sony to come forward with an official announcement very soon. If you're a Sony Xperia fan, then stay tuned as we'll be keeping an eye out for more details on the matter and report as soon as we have more info.